All H2OtoGro® hydroponic systems are manufactured using 100% Food Grade, "Blackout" style, customized reservoirs and lids. 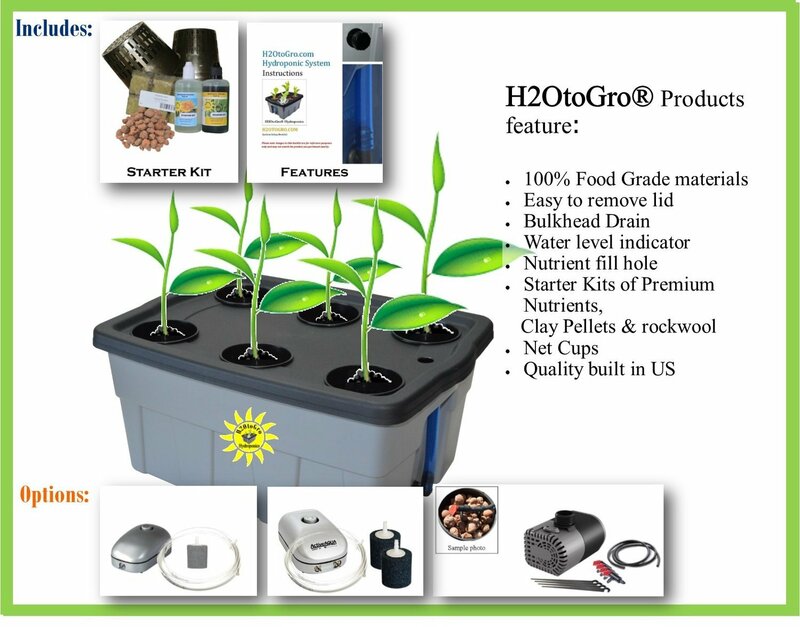 Our "Complete Hydro Kits" include STARTER PACKS that include enough clay pellets, rockwool squares, and nutrients to start your first set of plants. Want to choose a different air or water pump or air stone? Click HERE to build a system to suit your needs. Most items can be manufactured and shipped within 24 to 48 hours!